Mega Maker director WreckingPrograms talks how the game got started and whether he's afraid of Capcom dropping a DMCA hammer on his efforts. Even when Nintendo isn't the first to market with a concept, it has a history of refining templates. Super Mario Maker was not the first game to let players build their own levels, but it's arguably the most popular, providing a toolset as easy to learn as it is astonishingly deep, giving rise to levels far removed from the mascot's bread-and-butter platforming antics. A flood of fan-made creation tools followed, many as colorful, accessible, and versatile as Nintendo's official Mario title. Mega Maker might be the cream of that crop. 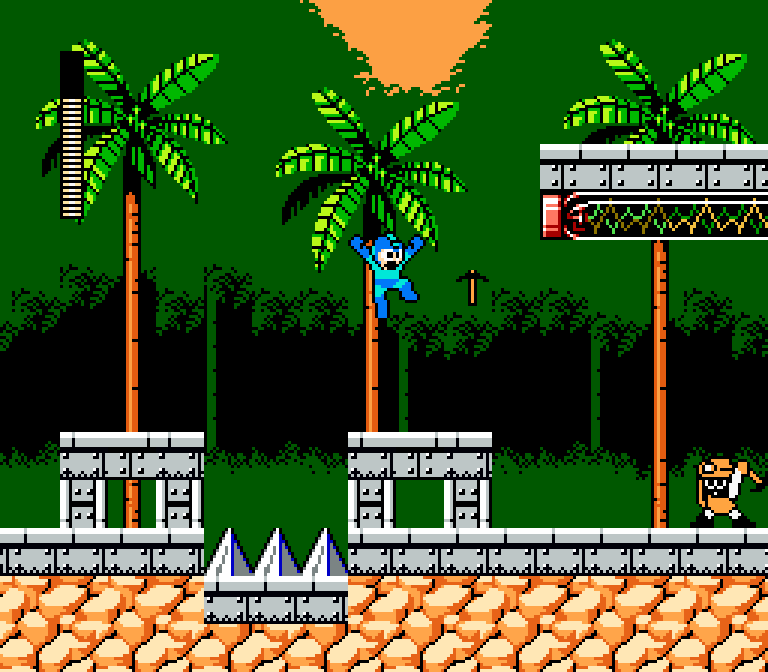 The Mega Man-themed builder features authentic assets—bosses, gimmicks, enemies, tile sets, and more—pulled from the first six titles in the series on NES. There's even a system for sharing levels online. Assuming the servers last, and assuming it gains traction from the community, Mega Maker effectively offers a bottomless well of Mega Man levels. And that's a good thing, in light of Capcom's well of Mega creativity remaining bone dry for the last seven years and counting. Started by a single hobbyist, Mega Maker is now under the auspices of over half a dozen passionate fans. I talked with the project's director, WreckingPrograms, to learn more about how the game got started, the technology that drives it, whether he's afraid of Capcom pulling a Nintendo and dropping a DMCA hammer on his efforts, and what types of levels players will be able to build when Mega Maker releases for free this Saturday, July 15. Shacknews: A lot of these fan-made builders stem from nostalgia. What's your history with the Mega Man franchise? WreckingPrograms: I unfortunately did not grow up with the franchise, and I discovered it in 2014. I discovered it through gameplay videos, though I can't recall which ones exactly. Either way, what made it so appealing to me was the satisfying trial-and-error gameplay and the great amount of options to had to not only choose your level order, but also for handling a certain situation in the level, mostly thanks to the special weapons. It quickly became my favorite video game series. I previously made a (cancelled) indie game inspired by the series called Environ, and I also created a Mega Man engine for Game Maker called the Mega Engine. There's a growing number of quality, fan-made Mega Man games available, most structured like the classic titles: eight levels, eight robot masters, Dr. Wily's castle, the works. What prompted you to create a Mega Man title where you build your own levels? WreckingPrograms: With the Mega Engine, I aimed to give the community a more accessible way to create their own Mega Man games. This then inspired me to create a tool to allow people with no game development experience to create their own Mega Man levels. Additionally, level makers require a lot of programming (my favorite aspect of game development) and allow the developer to re-use a lot of official assets, which allowed me to not have to worry too much about custom sprites, music and more. I'd like to know more about the construction of the Mega Engine. What were some of your main goals in writing the Mega Engine, and how has it evolved over time? WreckingPrograms: I hadn't created an engine with public use in mind before the Mega Engine, but I created several engines in Game Maker for my own games. The main goal of the Mega Engine was to give users an easier time creating their own Mega Man games. Before it was created, the only viable option was Blyka's Mega Man Engine, which was good for its time, but definitely shows its age due to its poor code and flexibility, as well as a capped 30 fps framerate. As for its evolution, it spawned two additional engines. One of these is the Super Mega Engine, a community-based engine built on top of the Mega Engine, that promises to add new features. The other is the Make a Good Mega Man Level 2 engine, which adds nearly every enemy, gimmick and more from Mega Man 1 through 6, with several Mega Man 7 through 10 assets as well. The latter isn't available yet, but is expected to release this August. Since the Mega Engine is made in Game Maker, it uses the same interface as said program. It is made with beginner-friendliness in mind, and is therefore generally easy to get used to. The Mega Engine was built for Game Maker 8.1 and Game Maker Studio 1.4, but YoYoGames recently released a new version called Game Maker Studio 2, which promises to have improved the interface. I haven't messed around with it too much myself, but from the little I've used it, the interface is looking great. A clean, user-friendly UI is so important in any do-it-yourself game: if the UI isn’t easy to use, I won’t feel encouraged to build. How did you go about designing a UI that’s both deep and accessible? WreckingPrograms: I started by looking at other level creation tools and what they did right. Super Mario Maker was the obvious starting point, but since Mega Maker includes a lot more assets than that game, I had to add a category system that allowed the player to easily choose different enemies, objects, backgrounds and more. I also took inspiration from Mega Man Powered Up's level editor but obviously had to look at that with mouse controls in mind. For the rest, it was mostly a matter of trying different things and seeing if people liked it. Could you talk more about those categories? One thing I like about Mega Maker's UI, based on the trailer, is that it seems organized and intuitive. WreckingPrograms: Global settings is where you can change various settings, such as your level's name. I can't reveal all of these yet, though. Next is Weapons, where you can create and customize the weapon set for your level. Then comes Music, where you can decide what chiptune track plays during your level. Backgrounds lets you can select and place different backgrounds to use in your level. In the Tiles category, you can select terrain, ladders and spikes. We recommend mixing different tiles with different backgrounds to create your own level theme. 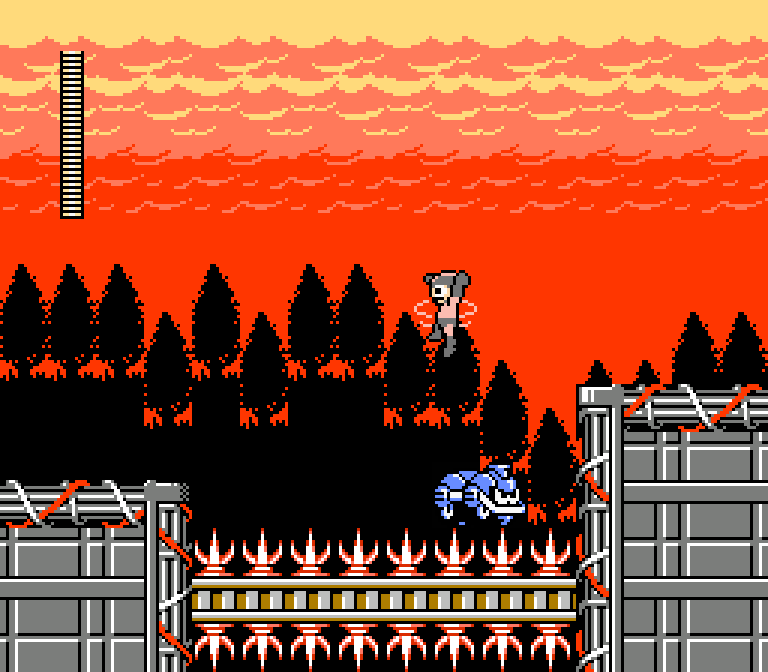 Within Player, you can place Mega Man in the level. How else would you play it? Enemies allows you to select from several enemies to give the player a challenge. Level objects collects stage gimmicks, health pickups and more. Finally, Bosses, where you can pick a boss to end your stage with. Mega Maker offers 46 enemies, 29 level objects, 12 bosses, and an assortment of weapons and tiles. How did you choose which assets to use and which to leave behind, or perhaps for later? WreckingPrograms: I wanted the game to offer a variety of assets, so I mostly picked these based on how different they were from each other and how they could add to the level design. What sorts of rules do players have to keep in mind as they build? For example, Mario Maker limits the number of objects players can have in a level. Also, are there any limits you impose on purpose? For example, the beam item from Mega Man 1 is my go-to item when playing challenges in Mega Man Legacy Collection because I can just walk over the entire level. Fun, but not the best way to experience someone’s thoughtfully crafted level. WreckingPrograms: There is no limit on how many objects players can place, but the more you place the great the chance of the level lagging on weaker PCs, of course. I tried making the level creator as limit-free as I could. In your example, the creator of the level could just not include any utilities in the weapon set to force the player to go through the platforming challenges. One of my hopes with Mario Maker was that I (or someone else) would be able to remake, say, Super Mario Bros. in its entirety using Super Mario World assets. Of course, that’s not possible because of certain limitations: time limits, some assets not being included in the toolset. 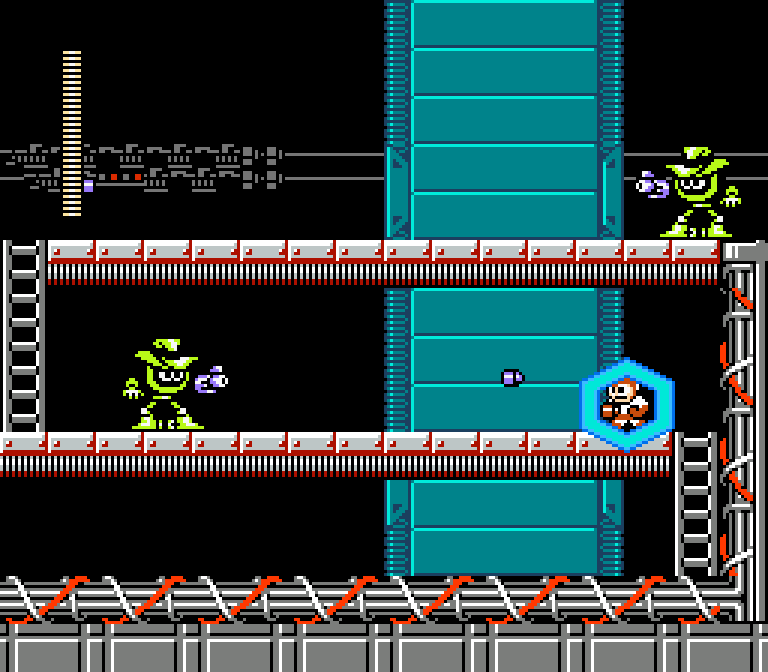 Is it conceivable for users to recreate Mega Man 1-6 in their entirety in Mega Maker? Or do you want to curtail that ability (for, among other reasons, the obvious legal troubles it could cause)? WreckingPrograms: Unfortunately, we couldn't include every single asset from Mega Man 1 through 6 as this would be too ambitious for a hobbyist project. That being said, I've seen Mario Maker levels that found really creative ways around this, and I'm sure the same will happen for Mega Maker. It may not be a one-to-one perfect remake, but you can definitely create a stage that has the same look and feel to it. Do you foresee people making traditional Mega Man levels, or did you create your toolset to allow for a wide array of templates, such as the auto-runners and super-difficult challenges that populate Mario Maker? WreckingPrograms: Players are able to make just about any type of level they can think of! I hope to see a variety of level types, but if Mario Maker is anything to judge by, I assume the automatic levels will be the most popular. Personally, I'm looking forward to traditional stages and puzzle stages, though. Same here. I was hoping to get my fix of bread-and-butter Mario levels, but that didn't quite happen. They're available, but hard to find. Speaking of level sharing, was sharing a must-have feature for you from the outset? WreckingPrograms: Definitely. I wasn't sure if online level sharing was feasible, and if we didn't have the means to implement it, I'd have gone for an easy way of sharing the levels manually through files. Luckily we were able to make in-game online work thanks to Alex, our server and database programmer. Will it be possible for users to bundle levels in packs? For example, can I create eight themed levels and release them all together? WreckingPrograms: That is not supported in-game currently, but you could always go on the forums and create a new thread for these levels, stating that they should be played together. We may add in-game support for this through updates, though. Mario Maker has received criticism for a level-sharing system that punishes unpopular creators by automatically deleting levels that don’t get much attention. How will your sharing system work? WreckingPrograms: We definitely will not automatically delete levels. You can browse for other user-created levels and sort them in several ways (such as Most Played or Best Rating), search for levels, enter a level ID to play a specific level or make the game select a level at random. There are a lot of possibilities. Since your game uses assets made by Capcom, are you worried about Capcom issuing a DMCA takedown of your game? Why do you think it hasn’t? It seems like some fan games, such as Mega Man 2.5D, get a pass, while others get stamped out. WreckingPrograms: Capcom is very lenient with fan games. They have never taken down a Mega Man fan game unless they tried making a profit or contained NSFW, neither of which applies to Mega Maker (the Patreon is only there to pay for server costs). On top of that, they even officially endorsed a fan game called Street Fighter X Mega Man. A notable Capcom employee has stated they wouldn't take down fan works unless they made a profit or contained [not-safe-for-work content] on the Capcom Unity forums, too. I highly doubt Mega Maker would be an exception to all this. 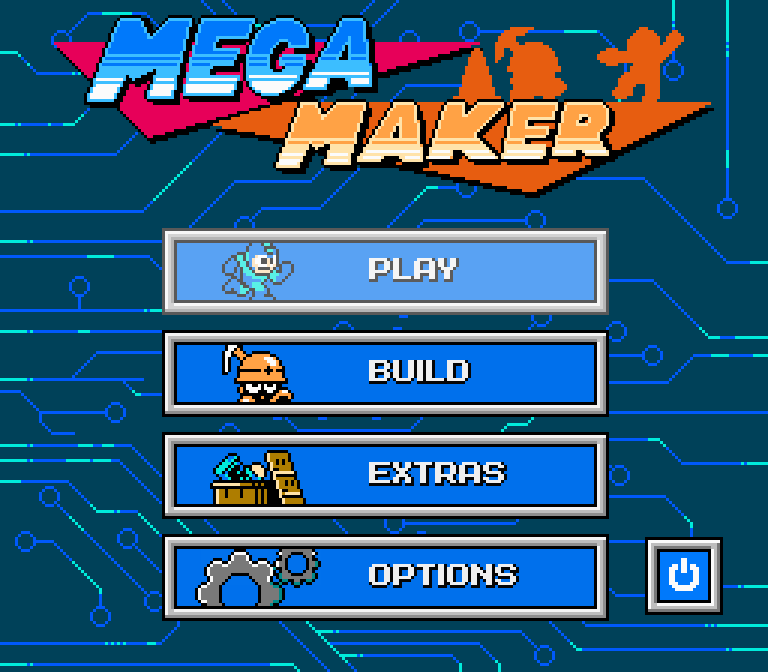 Mega Maker started out as your passion project. Now you're working with over half a dozen other developers. What led to the team's growth spurt? Did you go looking for help? WreckingPrograms: It was mostly a matter of people approaching me about the project, rather than the other way around, with only two exceptions. I guess that shows how much interest people have for the game. The first people to join were CosmicGem and MrKyurem as musicians, but we later got Gaem as an artist and spriter, RRThiel and Sapphire Sunsets as additional composers, Alex as a server/database programmer, Mors as a website programmer, and Shinryu as a trailer creator. MrKyurem has unfortunately left the team a few months ago, though. Mega Maker will release this Saturday. What’s still on your to-do list, and how are you feeling about its imminent release? WreckingPrograms: I'm really excited to share the game with everyone this Saturday, and I hope it will be received well! Though, it gained a lot of popularity and the server may have some downtime on launch, but we'll have to see about that. Either way, we plan on updating this game with both bug patches and content updates. We want to add content from Mega Man 7 onwards as well as entirely new features, so there's plenty of stuff to look forward to! I can't unf this hard enough. Not on my radar at all wtf!!!!!! It's pretty great. I've been playing around with it the last couple of days. Tomorrow's the official release! This is all new to me as well. Were they staying off the radar until it was complete? It sounds amazing, can't wait to try it. I think so. The announce trailer came out last weekend, and gave a release for this weekend. Pretty cool. A lot of fan projects are announced and then disappear. I certainly hope that if Capcom catches wind of this project, they make it an official Capcom title and hire this guy. It's not like that hasn't happened before! That looks great. Cap on would be smart to pick this up officially and make money.